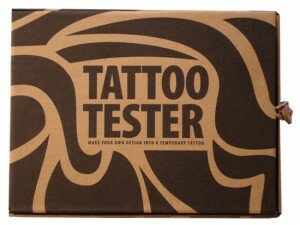 I saw this package design featured on TheDieLine.com today and just loved not only the visuals, but the whole idea for the product – Tattoo Tester. It basically is a home temporary tattoo kit. 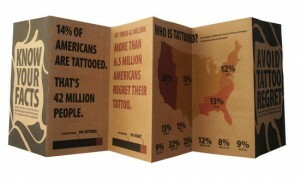 Cool idea, great visuals. Check out the whole post here, or hit the thumbnails to enlarge. Trying to raise half the funds for a ticket to the 99% Conference in NYC through this social media experiment. Can you spare a buck? (link in the sidebar). In exchange for your donation, I promise to share the info I pick up through blogs, vlogs, and tweets. Thanks!